I was an August baby, at home my mom has pictures of me in the cotton field with my dad when I was just a few weeks old. I’ve always been around it been around harvest in the fall . My dad quit farming a few years ago, but because my younger brothers and I have started farming I am still around it. 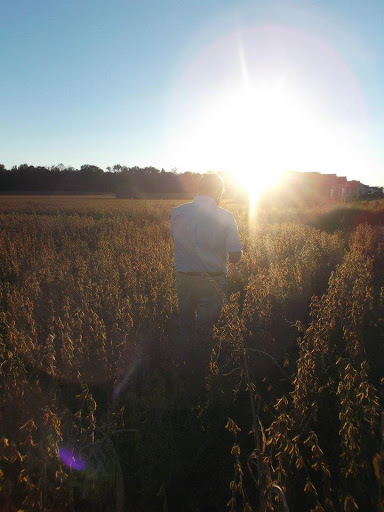 This fall I am looking forward to harvesting my first soybean crop and I am beyond excited. 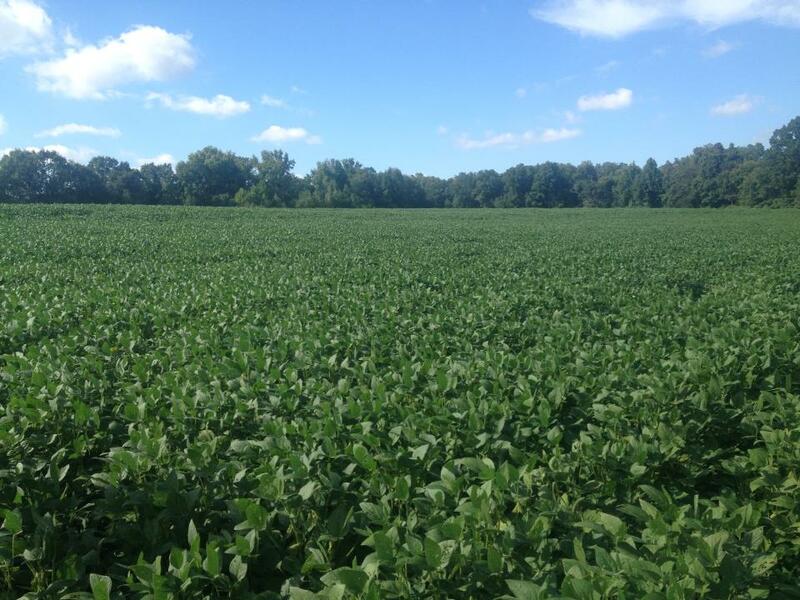 My soybeans were looking good when I was home a few weekends ago. They are all but ready to harvest. Yesterday I had an opportunity to do something I usually do not get to do in Auburn. I left class and went and went to the fields. This time it was not to work. I am writing an article about one of my classmates Mark so I needed some pictures of him working. 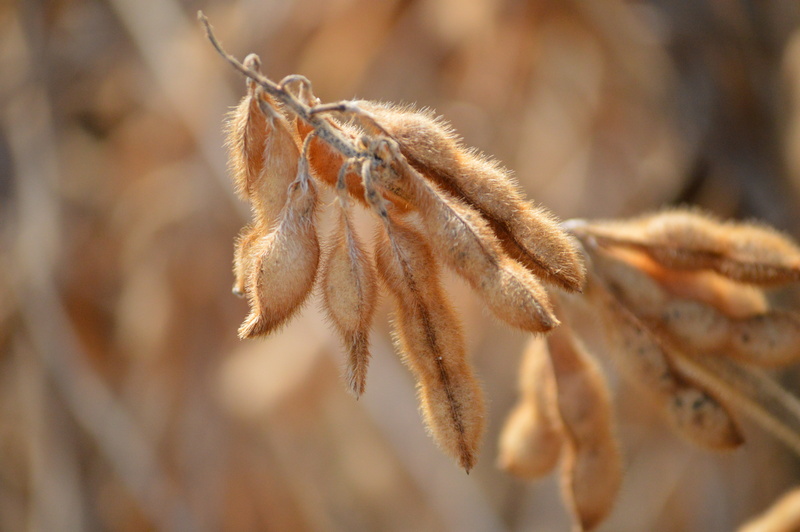 Although I was along to take pictures it was such a thrill to spend some time in the soybeans. Watching soybeans and corn so intently with my internship this summer I am more amazed than ever at the cycle plants go through. It is absolutely amazing to watch tiny seeds push through hard crusted soil, it is amazing to see them be subjected to harsh environmental conditions and see them bounce back. I have a post in mind to do soon relating seeds/plants to life, but ‘m not going to jump in on that today. I’m so thankful that the cycle of life exists for plants, its really remarkable to see how a tiny seed can be planted and cared for and can be turned into a useful product that may be turned into food, fiber, fuel, plastics, medicines, etc. 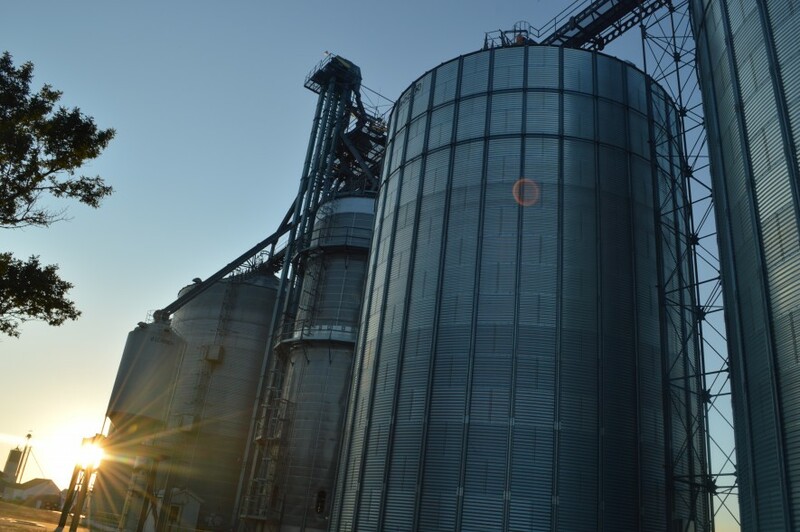 Harvest is when farmers can see all their hard work come to fruition. Some years depending on drought and other factors it may not be a good year, but those are things we do not have control over. About two weeks ago now I spoke at the Auburn Kiwanis Club on current topics in agriculture and at the end of my presentation a gentleman asked “Farming is not an easy job, why do people like you want to do it?” I have always recognized that farming is not the easiest job to have, but I have always thought of it as being a rewarding job. Over the last few weeks and especially after Dodge’s Super Bowl Commercial based on the Paul Harvey Segment “God Made A Farmer” I have thought more about WHY people continue to farm. Growing up, farming was what my dad did, what my grandfather had done. 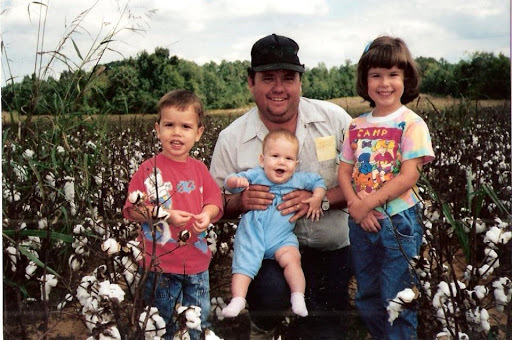 At the age of only a few weeks old I have pictures where my mom had taken me to the cotton field to visit my dad when he was harvesting. 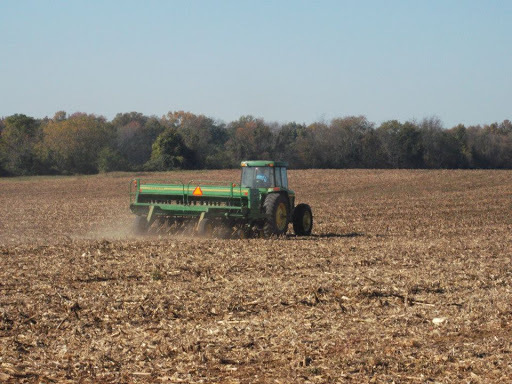 My brothers and I grew up enjoying the farm life, we rode equipment with dad and his workers, traveled all over Limestone County with mom as she would help dad move from one field to the other during planting, harvest and all in between. Like with any job, some days in farming are better than others. There are the days when tractors won’t start, you lock the keys in the truck, animals die, belts break, employees don’t show up, not enough rain, too much rain, extreme heat, and extreme cold. Whatever the circumstances things still have to be finished. Crops nor animals can wait for better weather, vacations to be over, etc. I often run into people who question farmers and their care of their animals. 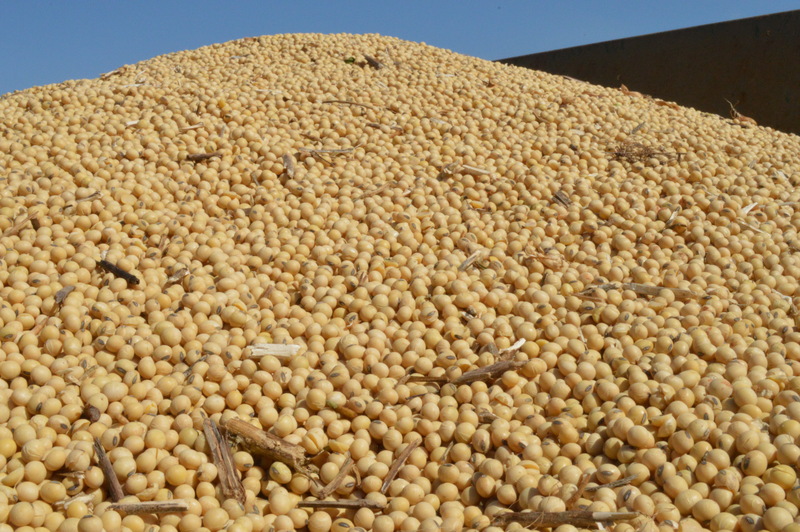 They often will scoff that “farmers are only doing it for the money.” In a sense that is true, it is a business you have to retain profitability in order to keep going (however every year profitability does not always happen). Farmers show the utmost care and concern for their livestock and their well-being. Right now for example it is winter time in most parts of the country (Alabama’s weather has not yet realized it is winter), but winter time can be tough to function outdoors, must less have to care for livestock like my friend Melissa Keyes and her family does out in Springfield, Nebraska. Currently they have about 150 mama cows that will be having calves within the next two months. 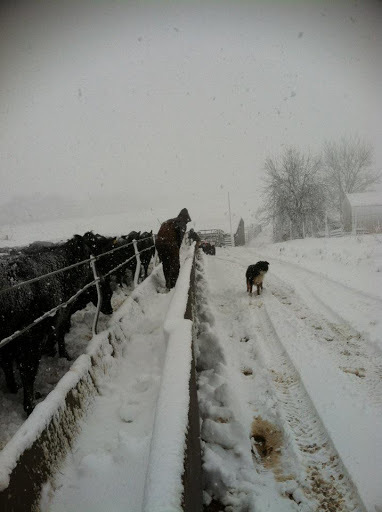 No matter the conditions they provide the best care for their Angus cattle. Right before Christmas she explained some of the challenges snow provides for their farm and even talked about how Christmas morning was like any other morning until the cows were fed and the snow was shoveled out of the bunkers. Other friends have talked about times when they had to postpone vacations, dates, and other events due to sick or pregnant animals. Would you postpone a family vacation because your dog or cat was sick? When it all comes down to it I think one of the main reasons farmers continue to do what they do amist the challenges they face is pride. Not a bad kind of pride, pride in the product of their toil. I’m starting to see that through my own experiences. As I have mentioned previously I am growing my first crops of my own this year. 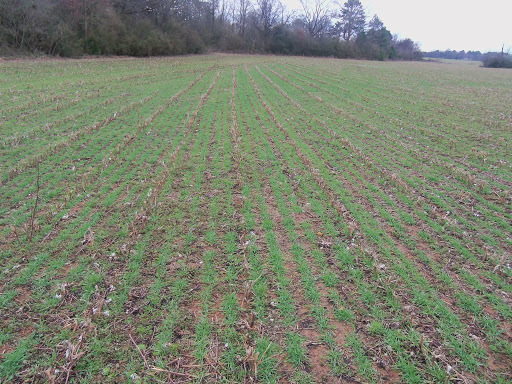 I am so proud of my wheat! I planted it in November and it is coming along so nicely. I love watching it grow and figuring out the best way to make sure it is harvested successfully. My brother went home this weekend and I was not able to, but I was so excited to get to see the pictures of how it has grown since I saw it last. My dad has often talked about cotton. It is a pretty cantankerous crop to grow. It takes a lot of oversight and adjusting throughout its growing span, but when it is opening up and has reached maturity it is something you look at and are proud of. 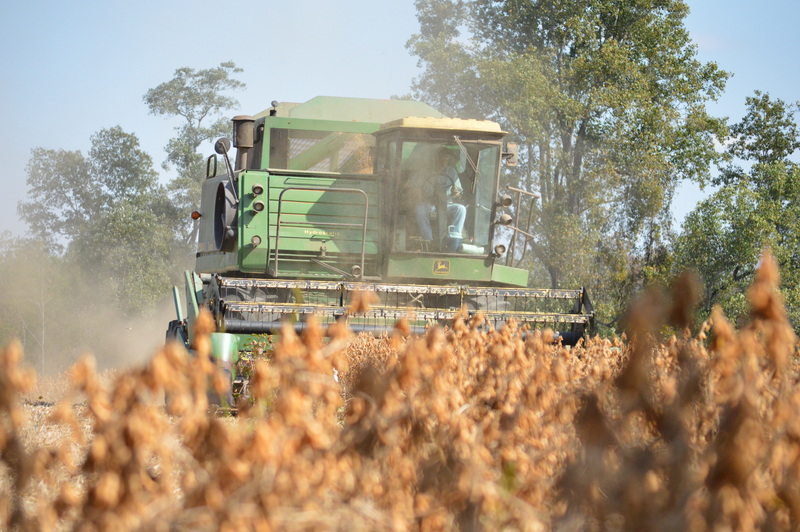 Farmers take pride in what they produce whether it be a cow, cotton, catfish, peanuts, alfalfa, you name it. Also farmers take great pride in what they are doing: feeding their families, country and world. We are adding a million people to the world’s population every five days which is equal to a Chicago every week! Farmers are a necessity to feed all of these new people being added to the world daily. Farmers also take pride in their lifestyle. A lot of my friends in other colleges here at Auburn have the idea that being an “ag major” is just that an ag major. 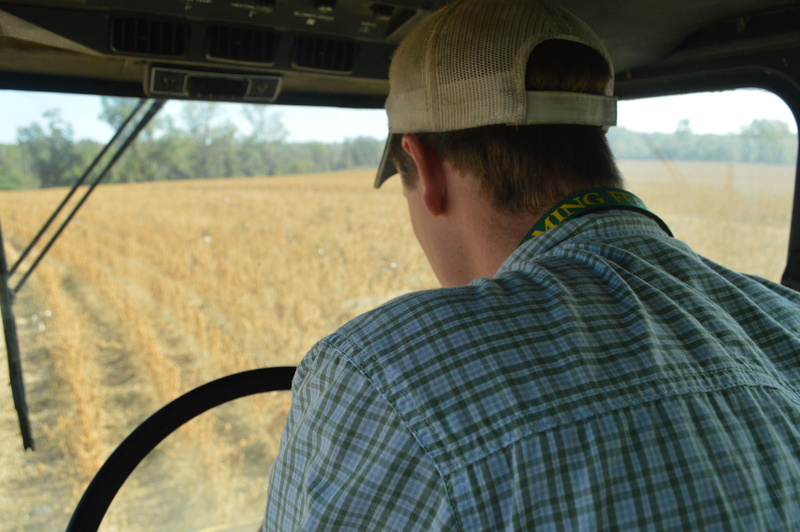 Being an agriculture major is so much more than just a course of study. It is a way of life and extremely important to the continued survival of mankind. Farmers take pride in the life lessons and values learned on the farm. Farmers love what they do and take pride in it, otherwise they wouldn’t do it. They love the land, their animals, people, the sun, rain, and the challenge. It is a job demanding of their time and physical bodies, but it is a noble profession and wonderful way of life. I know I wouldn’t trade it for anything else. I realize it is not for everyone and I’m not saying anyone who doesn’t is inferior. The pride and love of agriculture and its future is what keeps me and two million other farmers in the United States plowing on.